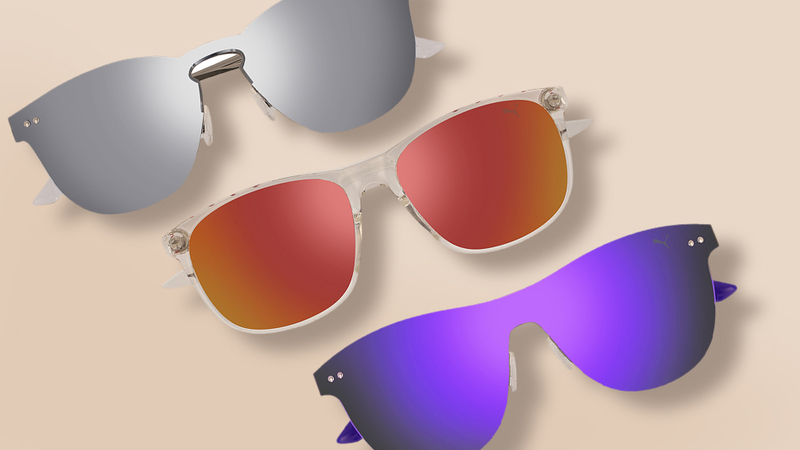 Fashionable frames that don't compromise on function. Inspired by the brand’s athletic spirit and legacy in the sports world, the new Puma eyewear collection innovates through a balance of design and functionality, where performance, comfort and protection meet to reaffirm the “Forever Faster” attitude. The line’s key themes sport ultramodern shapes, iconic details and exclusive finishing that always enhance the freedom of movement. Whether you’re in the city or in the playing fields, the all-purpose and diverse selection of pieces is sure to change the way you play. Specially designed for runners and golfers, the Performance sunglass masks feature light frames equipped with wraparound polycarbonate lenses. The build and silhouette are made to withstand any climate condition, ensure antifogging, and facilitate peripheral vision. From the extra-grip rubber nose pads to the aerodynamic temples, each component is grounded in the tenets of ease demanded by the most challenging activities. 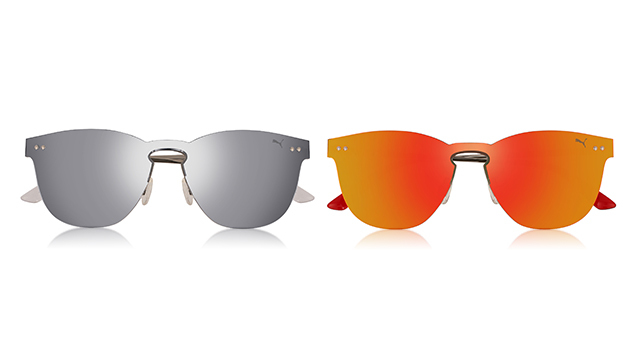 Poised between contemporary trends and dynamic lifestyles, the Active sun and optical glasses come in smooth injection materials that easily transition from sportswear to urban style. The soft rectangular frames are adorned with the Puma signature “ignite” detail that flashes a chevron pattern on the temples. 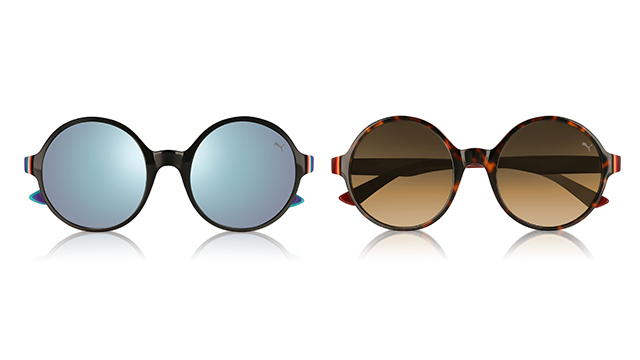 Meanwhile, the Sportstyle lineup features raw-cut single-lens constructions, playing with the contrast between thick and slim dimensions, and rounded and squared silhouettes enlivened by multicolor and multilayer details, or bilayer mixes of tinted and crystal acetate that outline the frame. The collection is completed with the 8 to 12 Junior range where the easy-to-wear and vibrant shapes drawn from the adult world lines into colorful pieces that are just perfect for outdoor fun and adventure. The ergonomic masks and the acetate frames stand out for the bright-mirrored lenses and for the playful polychrome patterns that render each style practical and joyful. 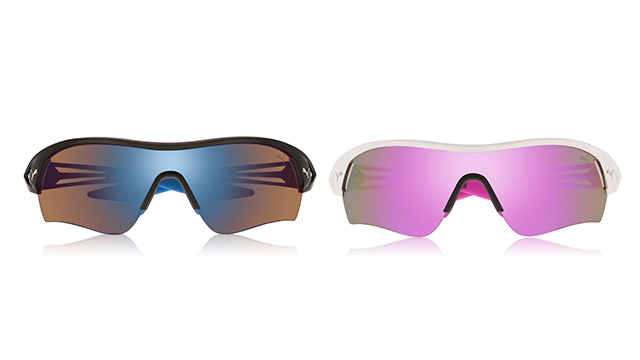 This multisport design combines the aerodynamic ultralight injected frame with performing lenses. The extended shape protects against wind, dust, and shock. It also guards against fogging and facilitates peripheral vision. The cutout temples are finished with the metal puma logo on both sides. The Black/Blue and Brown/Mirror Bronze versions are ideal for golfers. The White/Mirror Purple colorway, for runners. This versatile soft-squared silhouette in injection material is characterized by the distinctive “ignite” motif on both temples. 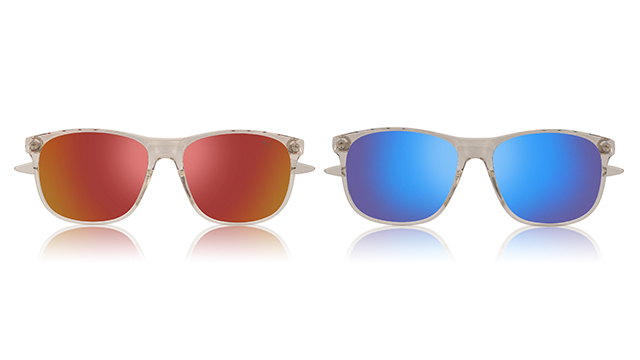 The color of the chevron graphic matches that of the flash mirror lenses. Available in Crystal/Orange, Grey Silver and Crystal Blue. Feminine and fashionable, this raw-edged frame combines full nylon lenses with slim temples smartened by the Puma logo and front-matching ends. Both sides of this light and sophisticated piece feature double metal rivets on the upper corners of the flash mirror lenses. Available in Silver, Silver/Red and Silver/Blue. This raw-edged frame combines the full nylon lenses with slim temples highlighted by the Puma logo and the front-matching colored end tips. Both sides of this light and sophisticated silhouette feature double metal rivets on the upper corners of the flash mirror lenses. 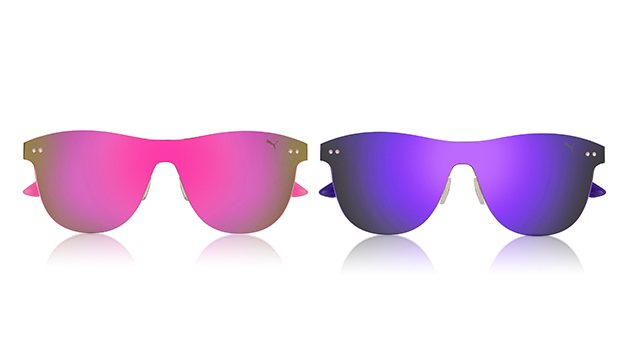 Available in Ruthenium/Grey, Silver/Pink and Silver/Violet. 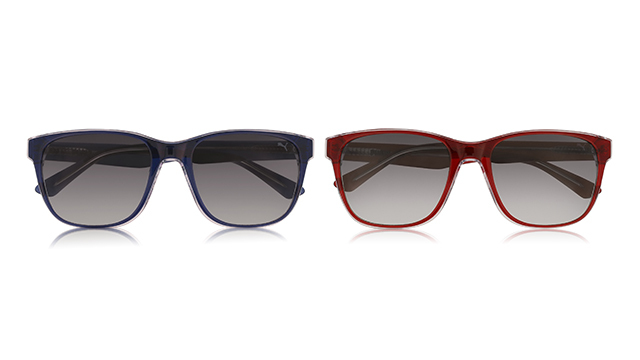 The woman’s rounded silhouette in acetate sports a polychrome multilayer stripe pattern visible on the front corners and on the tapering ends of the arms. It is equipped with flash mirror lenses. Available in Black/Light Blue, Avana/Brown and Fuchsia/Pink. 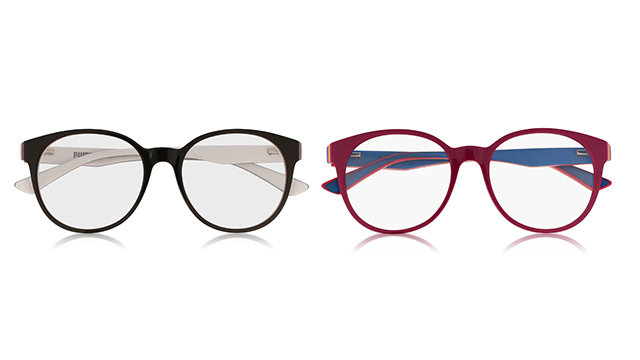 A special bilayer of colored acetate and crystal acetate characterizes this soft rectangular shape with contrasting contours. The Puma logo embellishes the temples. Available in Black/Grey, Avana/Green, Blue/Grey and Burgundy/Grey. This versatile soft-squared style is made of injection material and is embellished with the chevron “ignite” motif on both temples. 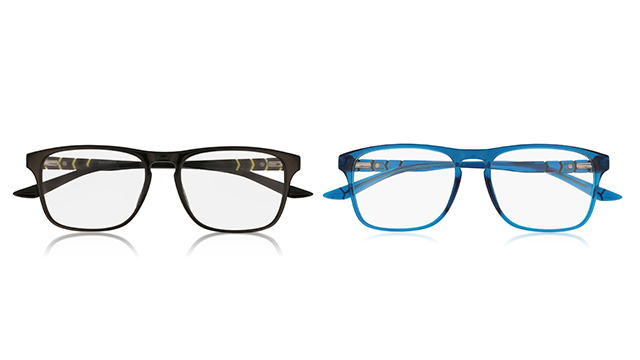 The men’s optical shape is enhanced with a key bridge fit for increased comfort. Available in Black Yellow, Grey Blue, and Blue. The woman’s optical frame presents a soft rounded shape adorned with a multilayer & multicolor stripe pattern visible on the front sides and in the tapering ends of the arms. Available in Black, Violet, and Fuchsia. Visit Puma-eye.com to see more on the latest in athletic eyewear. This article is sponsored by Puma.